New Yorkers are spoiled by amazing food, whether it’s a simple bagel sandwich from the fantastic Tompkins Square Bagels or the endless restaurants nestled in Hell’s Kitchen. But a dining experience at Thomas Keller’s iconic three-Michelin establishment, Per Se, really sets the bar high for all my future meals. Located on the 4th floor of the Time Warner Center by Columbus Circle, Per Se has a gorgeous view of Central Park. Considered the East coast counterpart of Keller’s French Laundry, it is one of the few New York restaurants that boasts an impressive three Michelin Stars. 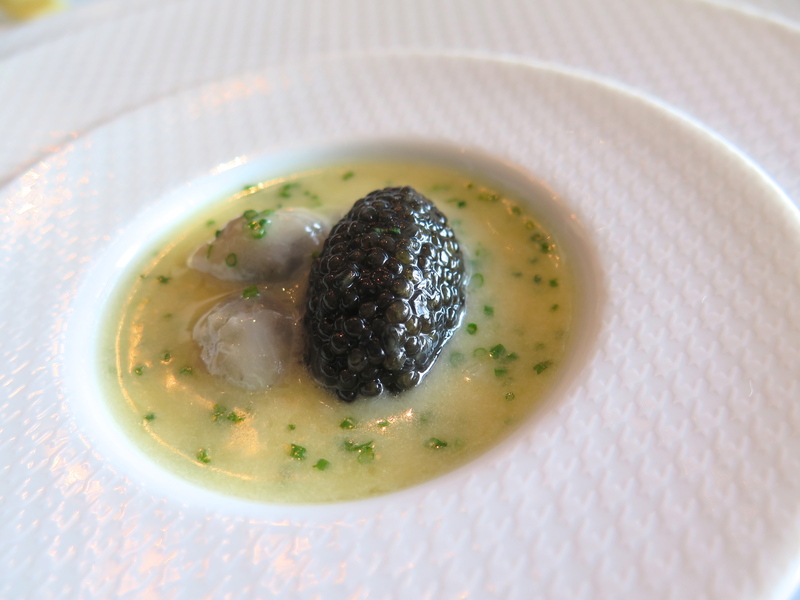 Oh but the best part of it all — Oysters and Pearls, French Laundry’s signature dish, opens the prix fixe menu at Per Se as well. Sabayon of tapioca, oysters, and sterling white sturgeon caviar… Just writing about this dish feels luxurious! A celebration with lovely company, thank you to the wonderful Lauren! Per Se is a New York dining experience worth the trek and hype–the food is phenomenal, and most importantly, service is a crucial part of the wonderful meal. Servers are attentive, clearly passionate about the food they serve, and knowledgeable. I adored chatting with all of them while also never feeling bombarded. The pace of the meal was fantastic, and safe to say, Lauren and I had a wonderful time. Last but not least, hope everybody is spending this holiday season with their family and a cozy cup of hot chocolate, mulled wine, or whathever choice of drink! I’ll be hopefully writing my 2015 Year in Review soon (just like last year’s round-up), so stay tuned. Thank you to Lauren B. for the wonderful ‘early’ birthday celebration! These photos are incredible. I’ve never been to a Michelin star restuarant, it looks like an amazing experience. New York is one of my dream cities. Thanks for sharing this experience! It is on my list of places to try! A belated Happy Birthday! Thank you! 🙂 While it is a little overpriced, I think it’s worth it for the experience.